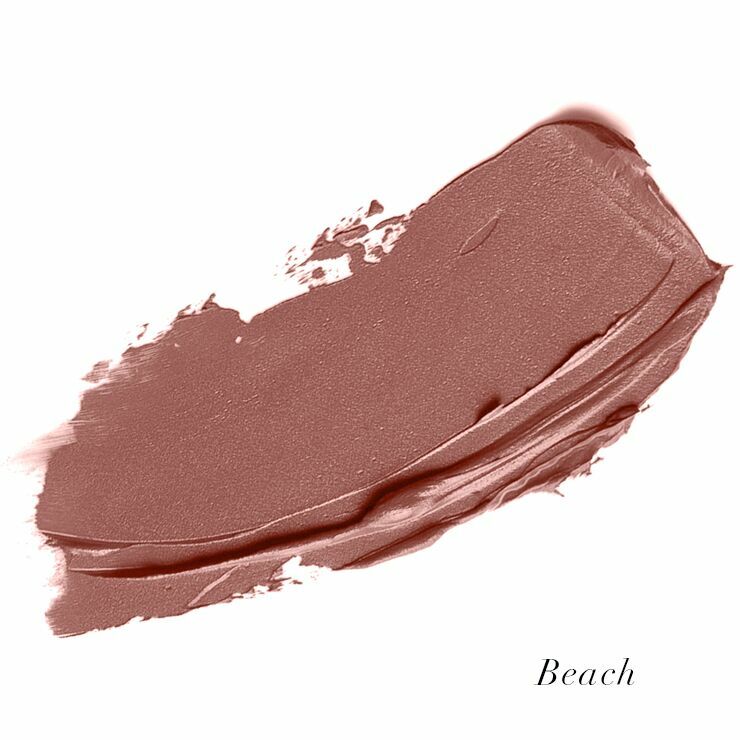 This 3-in-1 hydrating lip cream gives gorgeous color, with a richly moisturizing feel and a youthful appearance. 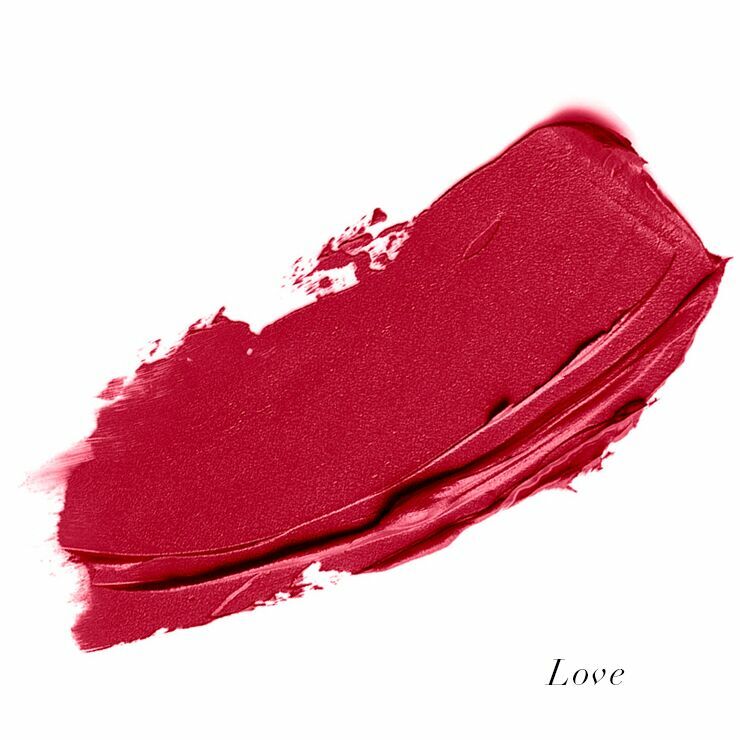 Plant extracts give lips a look of fullness and firmness, while healthy oils provide a healing and softening feel. 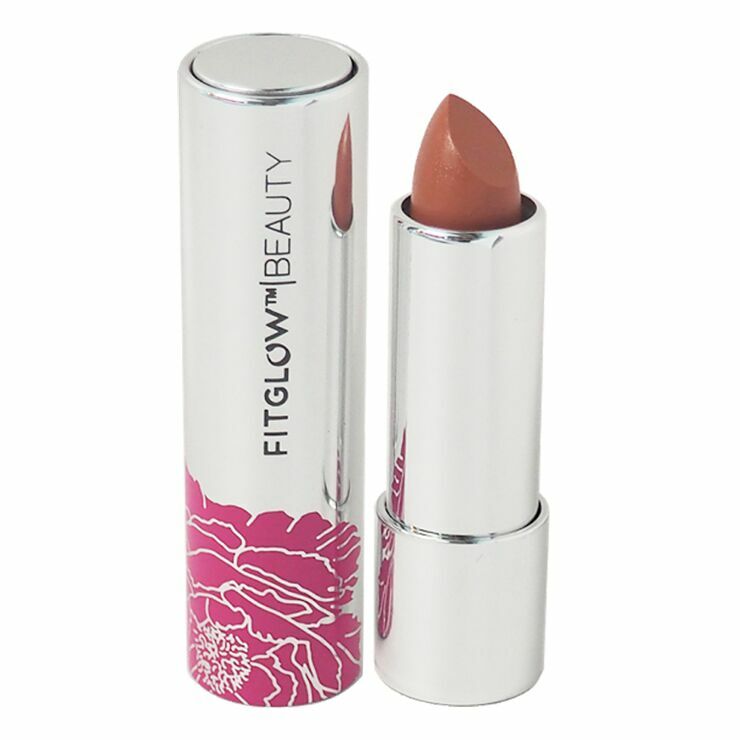 Apply Fitglow Lip Colour Cream on clean lips and layer as desired. May be worn alone for a creamy look or layered with gloss for extra shine. Butyrospermum Parkii (Shea Butter)*, Helianthus Annus (Sunflower) Seed Oil*, Cocos Nucifera (Coconut) Oil*, Ricinus Communis (Castor) Seed Oil*, Vegetable Collagen, Copernicia Cerifera (Carnauba) Wax, Hydrolyzed Rice Protein (Peptides) Punica Granatum (Pomegranate), Sterols Beta VulgarisRubra(BeetRoot) Cera Alba (Beeswax)*, Theobroma Cacao (Cocoa) Seed Butter*, Curcuma longa (Turmeric) Root Powder, Helianthus Annuus (Sunflower) Seed Oil & Lecithin & Yeast Extract (Organic Plump)*, Tocopherol Acetate (Vitamin E) Sorbic Acid, Vanilla Extract May Contain: Titanium Dioxide (CI 77891), Iron Oxides (CI 77499), (CI 77492), (CI 77491). I Adore! Movie Star Quality! I have two colors: Love and Buck. This lipstick is smooth, dense, vivid, moist without being slippery, and it lasts! Reminds me of a healthy version of fifties lipsticks.